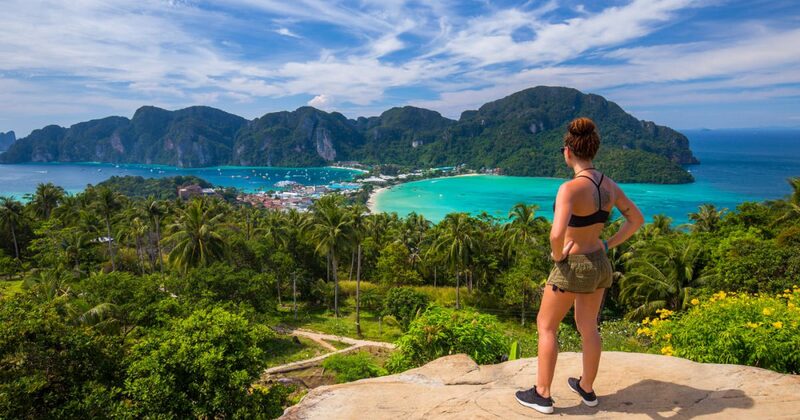 Phi Phi viewpoint is probably the second thing you will visit during your stay on Phi Phi island, the first thing being the famous (and crowded) Maya Bay which is only accessible by boat. 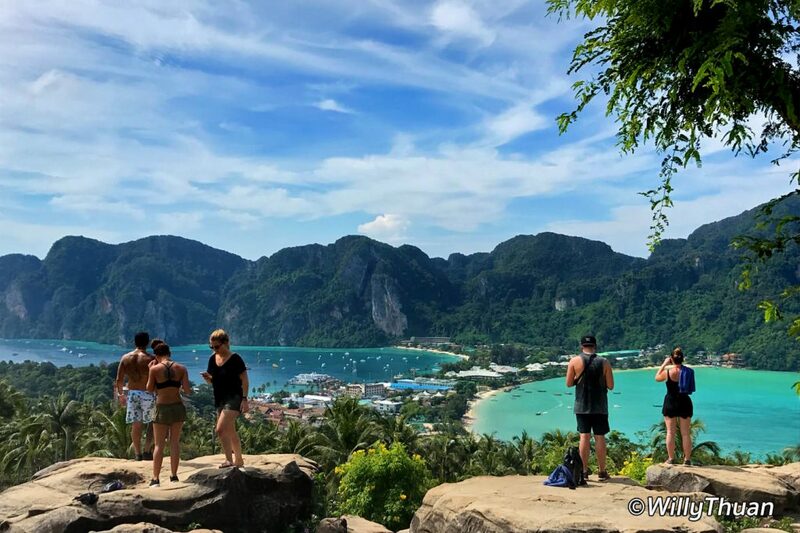 You can easily reach Phi Phi viewpoint by foot and this is where visitors take the iconic ‘2 bays view’ photo of Phi Phi. On the left is Tonsai bay, Loh Dalum beach is on the right and those majestic limestone cliffs serve as background. It’s easy andery well indicated to get to the viewpoint. Walk to the back of the Tonsai village and you will find it. 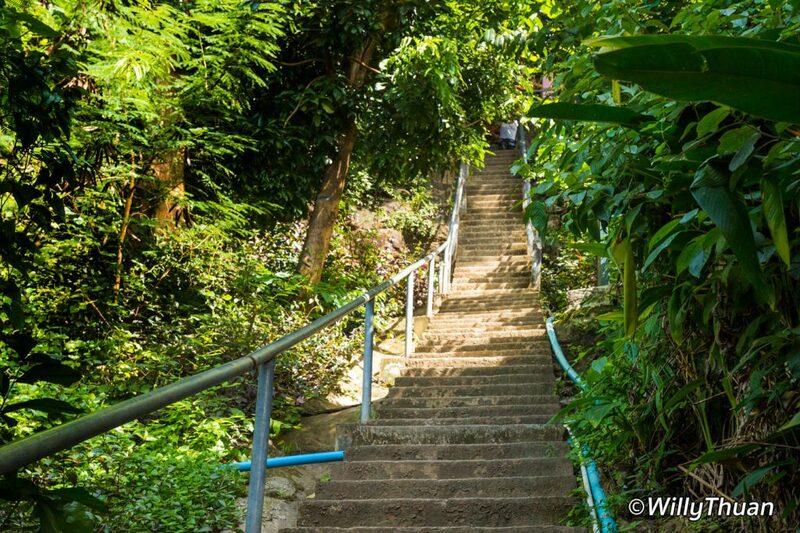 You will easily find the stairs, so just start climbing, it’s not too challenging. It can get hot and mosquitoes are waiting for that break you probably will take under the shade of trees, so taking a repellent might be a good idea. 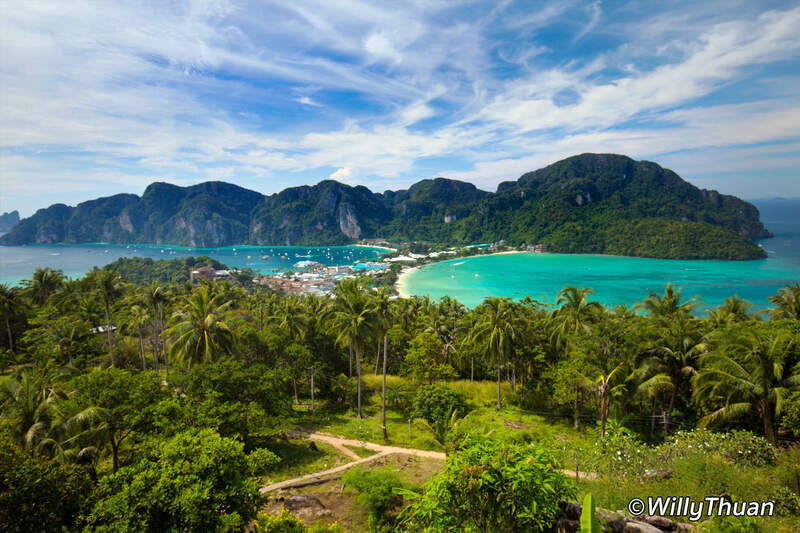 You will first reach Phi Phi Viewpoint 1 and a small entry fee is requested. There is no other way to continue so just get your ticket and move on. This is just a first level so don’t stop here too long. 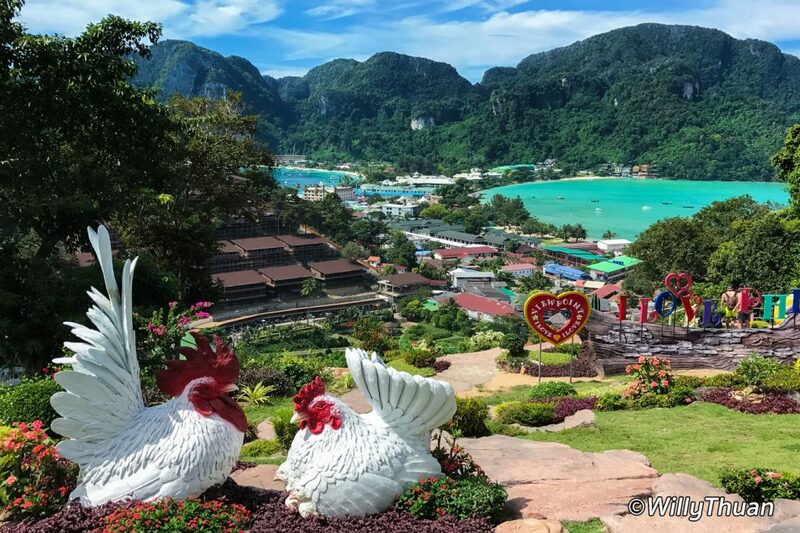 It’s designed to take a rest and some silly selfies with ‘I Love Phi Phi’ decorations, including some incongruous white concrete chickens. Some people do take selfies but it’s a little cheesy and the view is not the one you came for. Best is to just keep walking. We feel sorry for those who don’t. Yes, the place can be crowded so best is to come a little early. 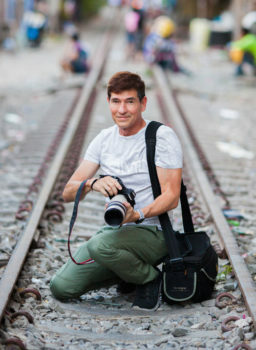 Eventually you will get your space on a boulder for a couple of minutes to take your photo while someone is waiting for you to be done with it and do the same. Have fun!